Anna Margaret Helena Borth was born on 18 February 1888 in New York. She was known as Margaret. 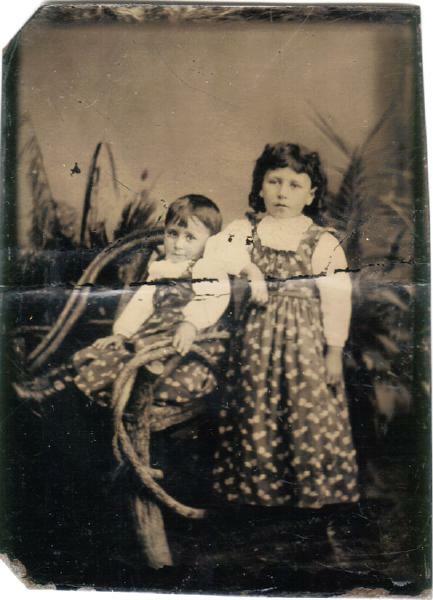 Sisters Margaret and Mate Borth appear in a tintype photograph, about 1890. Frederick Christian Borth and Margaretha Kammerer appeared in the US federal census of 1 June 1900 in Buffalo, Erie County, New York, at 213 Grape Street. Other members of the household included Anna Margaret Helena Borth, Adelaide E. Borth, Marie Christina Elizabeth Borth, William George Borth, Anna Maria Christina Borth and Robert Edmund Borth. Frederick Christian Borth and Margaretha Kammerer appeared in the US federal census of 15 April 1910 in Buffalo, New York, at 213 Grape Street. Other members of the household included Anna Margaret Helena Borth, Robert Edmund Borth. Frederick Christian Borth and Margaretha Kammerer appeared in the New York state census of 1 June 1915 in Buffalo, New York, at 213 Grape Street. Other members of the household included Anna Margaret Helena Borth, Robert Edmund Borth. She married Frederick Knaisch, son of (?) Knaisch and (?) Unknown, on 23 June 1915 in Buffalo, Erie County, New York. The following appeared on 24 June 1915 in the Buffalo Evening News: The marriage of Miss Margaret Borth, daughter of Mr. and Mrs. Fred Both, of Grape street, to mr. Fred Knaisch, took place last evening at 7:30 o'clock at the bride's home, Rev. W. Drach performing the ceremony. The bride wore a gown of embroidered organdie, trimmed with baby Irish lace. Miss Alma Herbst, the bridesmaid, wore a pale green viole. Mr. Robert Borth was the best man. A wedding supper followed the ceremony, the bride's table being set for 10 and decorated in yellow, and white marguerites were used in the house decorations. Mr. and Mrs. Frank Kuhl and Mr. Adolph Knaisch of East Concord, N. Y., were among the guests. At home after August 1 at 50 Edson street. She was employed as a milliner, according to the 1915 census. 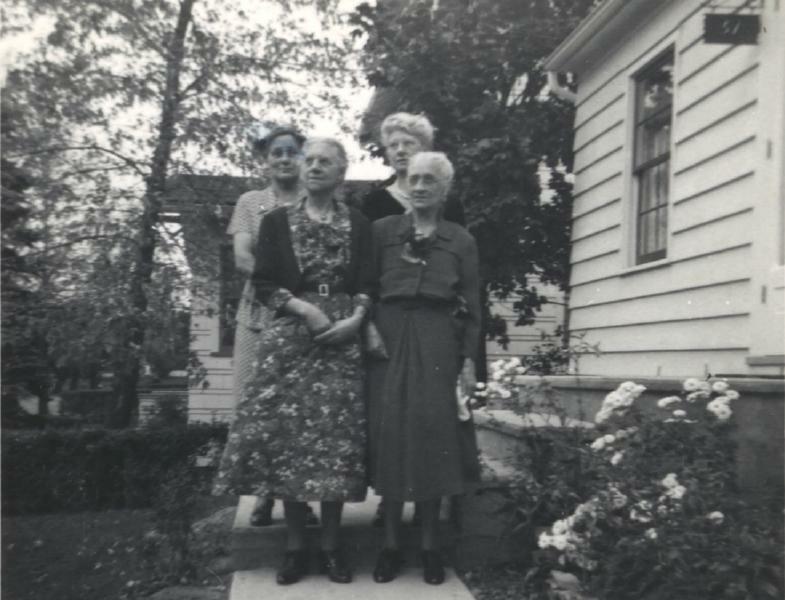 Of the two photographs of women of the Borth and Hoffman families taken in the 1940s at the same location, this one was later. Sisters Margaret, Mate, Addie and Rose Borth celebrated Mate's birthday on 23 October 1951 at the home of her daughter Esther Schillke. The SSDI lists Getzville, Erie County, New York, as the last residence of record of Anna Margaret Helena Borth. Anna Margaret Helena Borth died on 6 April 1977 at age 89. Frederick Knaisch became a widower at her death.